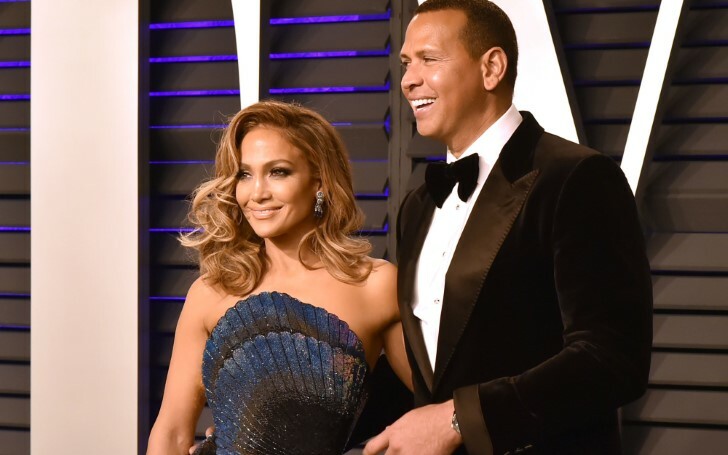 The longtime soul mates Jennifer Lopez and her New York Yankees' player fiance Alex Rodriguez spent quality time together in a New York restaurant. Jennifer Lopez and her fiancé Alex Rodriguez were spotted dating and sharing a romantic time on New York streets. The longtime couple patched up after 43-years-old Alex proposed Jennifer Lopez with 16-carat diamond ring worth more than $4 million on March 10. The 49-years-old JLo and New York Yankee's Alex were spotted holding hands and dining on Italian hot spot Carbone at New York on Monday. Jennifer Lopez and her New York Yankee star Alex Rodriguez holding hands on NY street. The 'On The Floor' singer was shining in her sparkling velvet suit and sky blue button-up shirt. The stunning star was carrying a black gold chained handbag which seemed fascinating with her black themed outfit. Whereas the basketball star showed up in classical tough looks with a dazzling black leather jacket, matching black martins and dark blue denim. Recently on Saturday, the couple flew from Miami to New York for a fun trip. Jennifer and Alex were accompanied in the trip by their twins' children Max and Emme. The couple recently got engaged during a romantic trip to Bahamas (the same location where Justin Bieber and Hailey Baldwin got engaged) and seems like they are already sharing a blissful relationship.